Basswall - World's First In-Frame Speaker System - NOW on Kickstarter! Imagine a framed poster pumping out studio-quality sound without wires or any visual indication that a speaker is involved. When they see this, people generally have just one question: Where can I get one? Today, that question is answered: on Kickstarter! 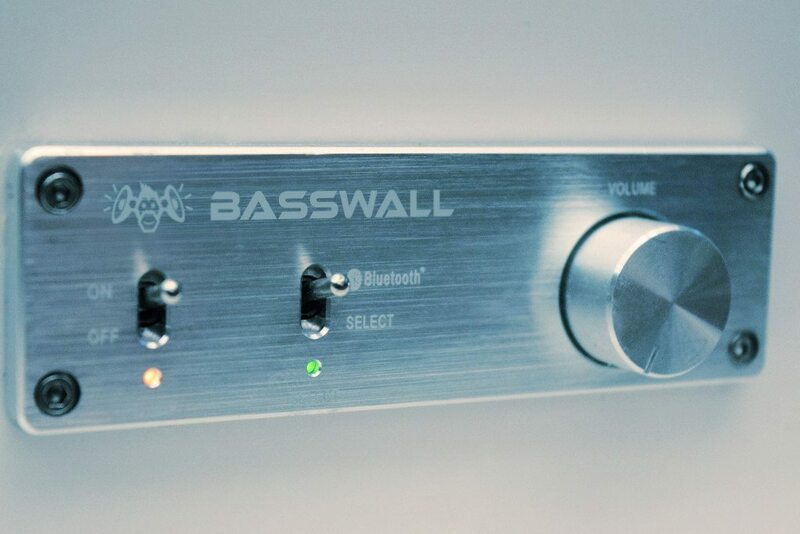 Basswall has just launched its Kickstarter campaign, and early funders have the opportunity to receive the very first Basswalls in production. Basswall is a 200-watt stereo system delivering high-quality sound that simulates a full studio sound set-up. 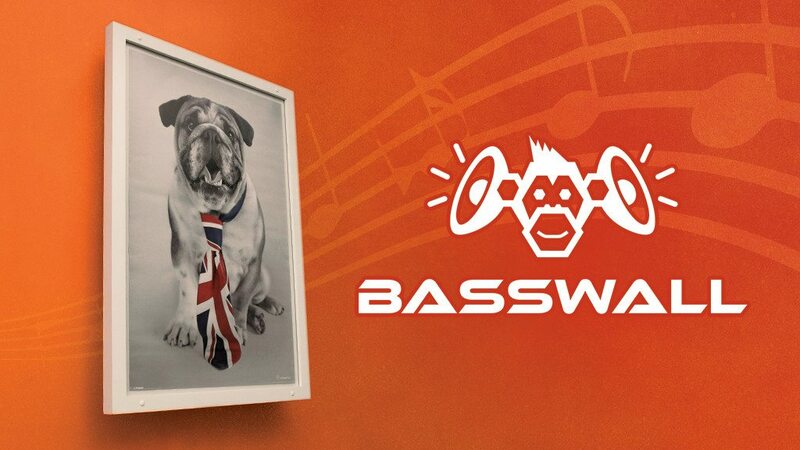 The Basswall frame fits any standard poster-sized artwork, making it infinitely customizable to fit any room’s style. Part of Basswall’s appeal is the element of surprise. When people discover just where the music is coming from, most are taken aback. Dubbed “the stealth ninja of Bluetooth speakers,” Basswall is the world’s first hide-fi sound system. To the casual eye, it looks like nothing more than a piece of framed art on the wall–until it begins wirelessly streaming music from any Bluetooth device. “Without Bluetooth and smartphones, Basswall couldn’t exist,” says creator Jamie White stated. 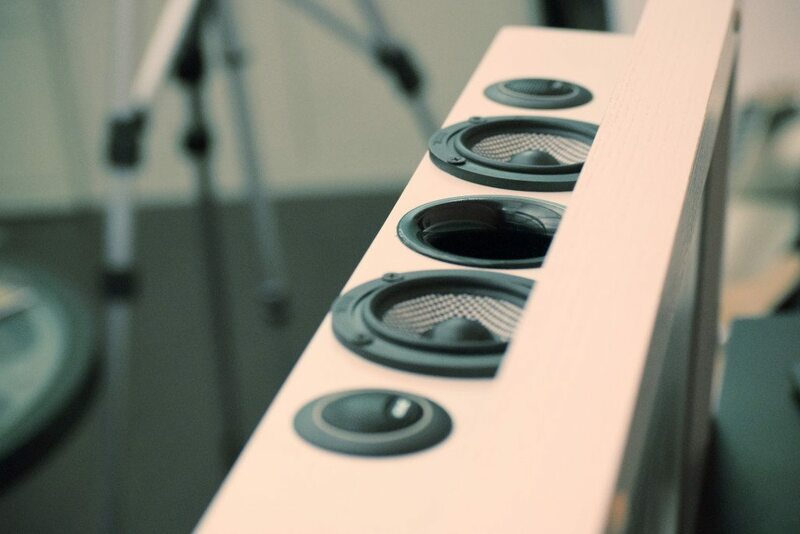 “It’s one of those great things we can do now that everyone was missing.” The secret to Basswall’s sound quality lies in its design, which White, an award-winning record producer, spent three years developing. Behind the artwork, Basswall consists of a large cavity filled with sound-dampening material that reduces the speed of sound, which in effect creates a much larger space for bass frequencies from the dual subwoofer array. 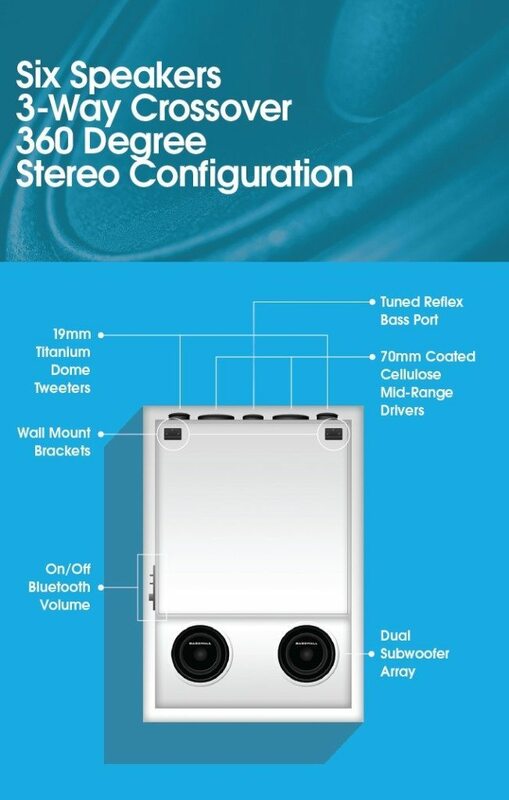 The effect is amplified with the addition of a finely tuned bass port. Four speakers–two 19mm titanium dome tweeters and two 70mm coated cellulose mid-range drivers–on top of the Basswall fire frequencies above 1,000 hertz straight up, bouncing sound off the ceiling and opposite wall to create the same effect as putting a small speaker in a bowl to amplify sound without unwanted noise. Connecting to Basswall is as simple as pairing a Bluetooth device with a Bluetooth speaker and pushing play on a favorite playlist. No special app is required, and Basswall is not device-specific. Because the user can add any poster-sized art to Basswall and no wires or electrical outlets are required, the sound system’s uses are endless, from coffee shops and offices to clubs, homes, and more. Running on 240- or 110-volt power, Basswall will work anywhere in the world and includes full thermal and overload protection. Basswall backers who pledge just £10 or more will see their names posted on the Basswall of Fame at Basswall.com. But it’s the Ultra Early Bird pledges — those of £349 or more — that will score one of the world’s first Basswalls! These will retail for £599 (about $780 USD) when they go into production this fall. At first, this may seem expensive, but how much would you spend on a studio-quality sound system, or a nice piece of artwork? Considering Basswall is the world’s first studio quality bluetooth sound system linked to artwork, created by an award winning record producer who is passionate about audio tech, this is a bargain. 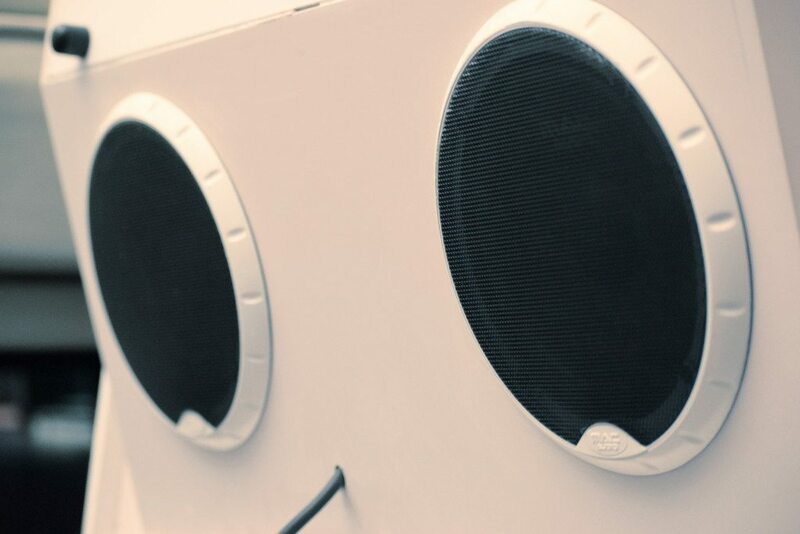 When you hear it – you can tell Basswall has truly impressive sound quality and a unique style that will become a show-piece for your guests!